If you ask Beyonce, she’ll say GIRLS. But ask any business owners, product manufacturers, or service providers and they’ll say REVIEWS. According to BrightLocal’s 2017 Local Consumer Review Survey, 97 percent of consumers read online reviews for local businesses. And 85 percent of them trust those online reviews just as much as they would trust a recommendation from a friend. What’s more, 73 percent of consumers agree that positive reviews increase their trust in the business, and it takes just seven reviews for a consumer to decide to trust a business at all. And here’s the kicker, 40 percent of consumers say negative reviews can dissuade them from using a local business. When it comes to the importance of reviews, Patrick Barnes is the expert. And as the CEO of Advocately, a company intended to help businesses build their customer advocates (i.e. those sweet, sweet reviews), he should be. “Whether you’re purchasing a product on Amazon, searching for a new dog groomer, or signing up for the perfect time tracking software for your business, having a good amount of genuine, five-star reviews makes all the difference,” Barnes says. And TSheets has about 6,000 of them. That’s over 2,000 on apps.com, another 2,000+ on SoftwareAdvice, GetApp, and Capterra, and more than 500 on G2 Crowd. Oh, and don’t forget the 1,000+ on Facebook. We have a kickass customer experience team and a kickass product. And each member of our customer experience team is super helpful, super friendly, and super eager to solve the world’s (time tracking) problems. But it also helps that we have an awesome product to start with. TSheets was built specifically to help business owners save time and money and ensure employees are paid for every second worked. We’re not kidding. It’s our mission to help business owners succeed each and every day. And it shows! Plus, studies show the No. 1 reason customers leave reviews is to help other consumers make good decisions. They know that other people just like them rely on honest customer reviews to make a good purchase. The second reason people leave reviews? To say thanks to the company for a great experience! To experience our five-star customer experience team for yourself, give them a call at 888-836-2720 or chat with them live, right here on our website. We bet they’ll make your day! Ready for five-star time tracking and scheduling? 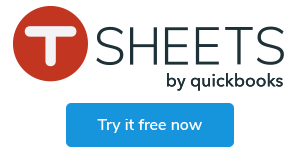 Start your TSheets trial — free for 14 days!